Holland TR radar – What’s more important – size or frequency? 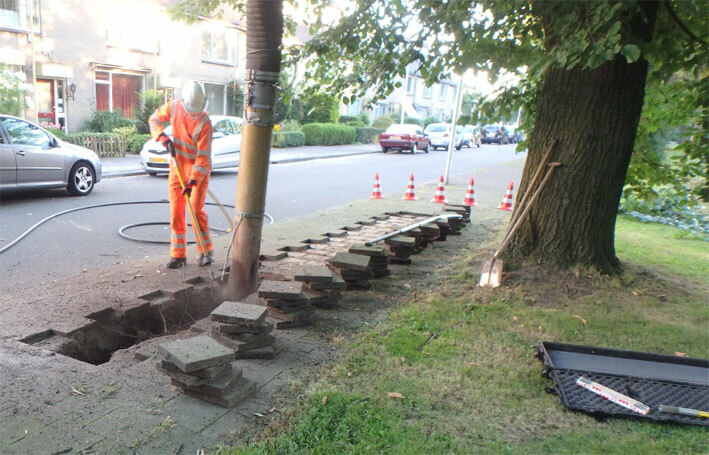 Ground Sucking Machine Meets Tree Radar (the return)….Utrecht, Holland, August 2016. Following fairly swiftly on from the original visit to Eindhoven in February this year, Sharon returned, with Ian Lee, to investigate further the Tree Radar to see if results correlated after removal of soil around three new, target trees. The return visit came after refining the methodology following the trip in February. The weather was 32 degrees all over Europe, but at least we were outside. The hospitality of our friends at TerraNostra, who own their very own ground sucking machine, was fantastic, with half-time oranges, ice-cold water, and our own mobile toilet hired especially for the occasion! To test the accuracy of the Tree Radar and provide data on the rooting diameter of roots found. One mature Acer saccharinum (sugar maple), two mature mature Pterocaya fraxinifolia (Caucasian wingnut), and one Ulmus x Hollandica (Dutch elm). We carefully marked the scanning lines and detailed reference points. we scanned with 400Mhz & 900 Mhz antennae, using different dielectric settings, and revealed what was beneath using the ubiquitous ground sucking machine. and air spade. Excellent results in grass for Acer and Ulmus. Good results with Pterocaya, but very surprising dense matt of fibrous surface roots. Careful refining of settings to achieve results for concrete over 100% pure sand. 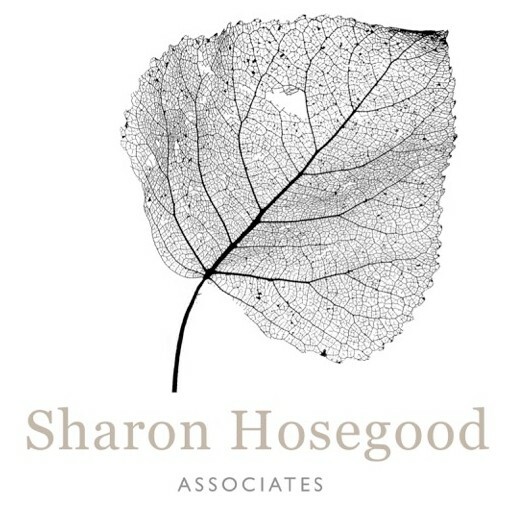 An academic paper is being prepared, written between Sharon, Ian Lee and TerraNostra, and will follow. 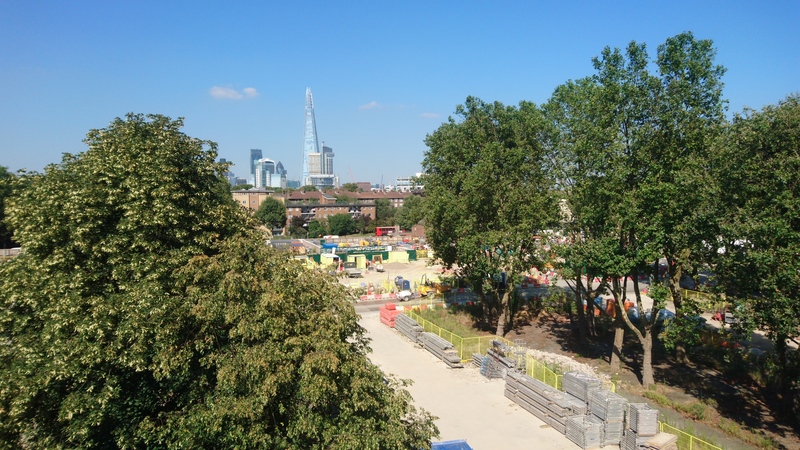 Sharon is the chair of the ICF National Study Tour this year, subtitled ‘The Streets of London – Resilience of people, resilience of place’, on the 5th and 6th October. To quote the ICF from their press release, ‘This event is a fantastic opportunity for ICF members of all levels – Student, Associate, Professional and Fellow – to meet and learn in an informal setting’. With speakers ranging from Professor Chris Baines, Peter Massini MCIEEM, Greater London Authority, Paul Nolan OBE MICFor, Mersey Forest, John Parker, Transport for London / London Tree Officers Association, Luke Faye of TEP, Oliver Stutter of Southwark Council, representatives of Lendlease, and others including Epping Forest’s Chris Neilan. There will be visits to three project sites, and an informal dinner. For more details, click on this link to go to the ICF release.